Basya (Basha) Epstein Bender (1913-1996) was born in Minsk, but her family left the Soviet Union when she was young for Otwock, Poland, where Basha, as she was known, joined a Bnos group. She attended the Bais Yaakov seminary in Kraków in 1931, among the first group of students in the newly erected building. 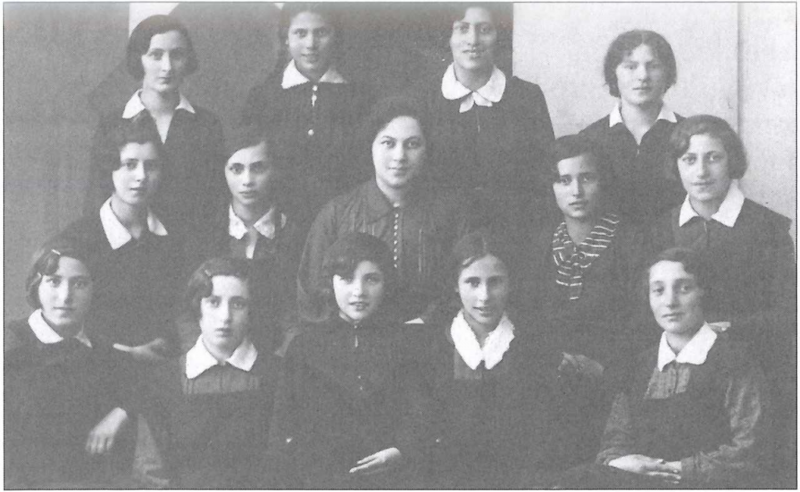 Because of the shortage of teachers, she was sent to her first teaching job after only a year and a half (as opposed to the normal two-year program), in Radomsk, moving from Radomsk to a newly founded full-day Bais Yaakov in her hometown Otwock at the beginning of the 1933-34 school year. She married an American student at the Mir Yeshiva in 1938, Rabbi Dovid Bender, and escaped with him and other students of the yeshiva through Shanghai and Japan to the United States, arriving in 1940 and settling, after a brief stint in Baltimore, in Williamsburg, Brooklyn. Rebbetzin Bender worked for decades as a teacher in the high school and seminary of the Bais Yaakov of Williamsburg. She was hired by the school’s founder and her friend Vichna Kaplan, whom she had met on a train in 1931 en route to the Kraków seminary. She became known not only as a gifted Bible and Jewish history teacher but also for her kallah (bridal) classes.